Autoimmune skin diseases are caused by an immune system that does not function properly. Rather than attacking bacteria and viruses, the immune system in someone with an autoimmune disease will attack healthy tissues, mistaking them as foreign invaders. There are many autoimmune diseases that affect the skin. Knowing more about these autoimmune diseases and how to treat them can help people better identify signs on their own skin. At Azeal Dermatology Institute, we offer treatments for many of these autoimmune diseases, allowing you to get the best treatment for your condition. In this blog, we are going to talk about some of the autoimmune diseases that affect the skin, treatment options, and how we can help! Read on to learn more. Psoriasis is one autoimmune skin disorder that you have likely heard of. It is an inflammatory skin condition which is the result of overactive skin cells. If you have psoriasis, your body will make new skin cells too fast, with no time to shed the old skin. This will lead to itchy rashes and scaly skin, which is often located on the elbows, knees, scalp, and lower back. Plaque psoriasis is the most common type. An article from Everyday Health mentions that there are approximately 7.5 million Americans living with psoriasis. Symptoms of psoriasis are not always present. These symptoms can come and go and can often be triggered by different situations. Psoriasis symptoms can be triggered by infections, sun exposure, skin injuries, medications, alcohol, and stress. Symptoms of psoriasis differ depending on the type you have. Adding stress management techniques to your routine can also help reduce symptoms since stress can worsen symptoms. We don’t expect you to know which treatment option is best for you, but our professional dermatologists can discuss your options and determine which is best for you! Lupus is another autoimmune disease that can affect the skin, however, there are many other symptoms. Some of the symptoms of lupus include fatigue, fever, pain in the joints, anemia, sensitivity to light, weight loss, among many others. While there are many symptoms of lupus, we are focusing on how this autoimmune disease affects the skin. Lupus can leave you with a butterfly rash on your face. This is a rash that spreads across the nose and cheeks. This disease may also cause lesions when your skin is exposed to the sun. There is no cure for lupus, but there are many treatment options that can control and reduce symptoms and flare-ups. Even lifestyle changes can help reduce symptoms of lupus. Try changing your diet and wearing more sun protection as a starting point. Other treatment options include anti-inflammatory drugs, corticosteroids, immunosuppressants, and antimalarial drugs. Our team at Azeal Dermatology Institute can help determine which type of treatment option will be most beneficial to you. When your immune system attacks your hair follicles, it could result in hair loss, leaving you with giant bald spots. This autoimmune disease can cause you to lose some or all of the hair on your head or body. Alopecia affects people from age 19 and up and unfortunately, there is no cure. If you notice a sudden loss of hair, especially if the loss is occurring in round patches, you may have alopecia. Some other symptoms include an increase in anxiety, small dents in nails, and itchiness. These are a few of the different treatment options for alopecia. These treatments can help to reduce hair loss and stimulate regrowth. 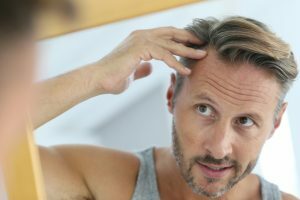 Some people find that their hair grows back on its own, but we suggest scheduling an appointment with our dermatologist to learn the best treatment option for you. It is still unclear whether vitiligo is an autoimmune disease or not. The immune system may destroy the melanocytes in your skin, leaving you with patches of lighter skin. While vitiligo is most noticeable when it affects the skin, leaving blocky patterns with loss of color, it can affect other areas as well. If you notice a loss of color in your eyes, inside your mouth, or premature hair whitening, you may have vitiligo. If you have darker skin, it will be easier to tell if you are losing color in different areas. While there are no cures for vitiligo, there are many different treatment options that can help! Some of these treatments include oral and topical medications, light treatments, surgical treatments, and photodynamic therapy. If you begin to notice a loss in pigment, schedule a visit with our dermatologists at Azeal. The sooner you start treatment the better! One of our experts can help determine which treatment option is right for you. Autoimmune diseases can affect the entire body, but many affect the skin, leaving you with symptoms that you may not want to live with. While most of these autoimmune diseases are not curable, there are treatments that can help reduce the symptoms of these diseases! If you notice that you have any of these symptoms, contact Azeal Dermatology Institute in Boulder. We offer treatment options for many of these autoimmune diseases, allowing you to get help!